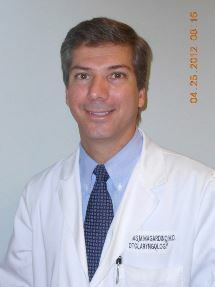 Dr. Thomas Magardino M.D. is a board Certified Otolaryngologist who has provided ear, nose, and throat care in Naples since 1999. He received his undergraduate degree from Dartmouth College in 1990 followed by his medical degree from New York University Medical School in 1994. After completing his internship and residency training at the University of Pennsylvania in 1999, he moved to Naples where he has cared for the hearing needs of the community for the past 15 years.